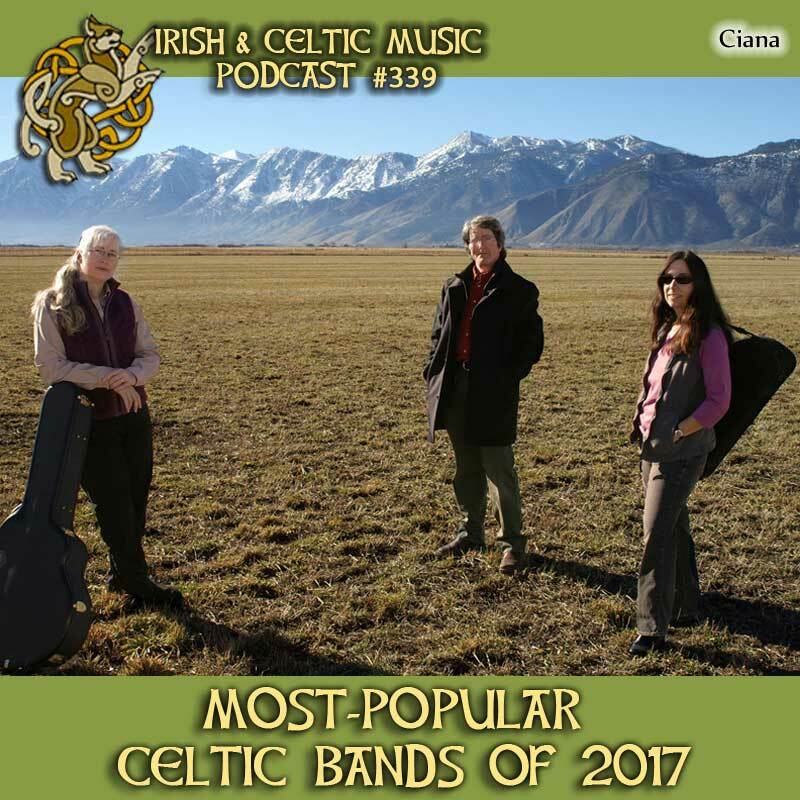 Every year, I compile a list of the most-played Celtic bands on the Irish & Celtic Music Podcast. We're gonna end the year with some of my favorite bands played on the show in 2017. This is your last chance to vote for your favorite bands in the Celtic Top 20. Every year, I compile a list of the best tracks played on this podcast and I share it in an extra-long show like this one. I want to ask you to review the 2017 shows. Find your favorite tracks in each show. Then go vote at bestcelticmusic.net/vote/. In a few weeks, I will share your votes with the world. Celtfather Music & Travel podcast features an interview with Shannon Heaton of the Irish Music Stories. You may remember in show #314 Shannon Heaton was the the guest host of this podcast. I was really curious to learn about her history as an American playing traditional Irish music. She also published a video about Irish Session Etiquette. So I decided to ask her to share her insights into playing in Irish sessions in this podcast. Listen to episode #234 Demystifying Irish Sessions. If you're in a Celtic band, I want to invite you to submit your new album to the Irish & Celtic Music Podcast. It's easy to do. Complete the permission form at http://4celts.com/. Then follow the instructions to send a digital copy of your album. Band Social Media Promotion Tip. I've never been super fond of social media. Partially because of the negative nature of the beast. But partially because I've never been able to figure it out. I generally keep to myself. However, over the past year, I've made a dent in the social media monster and I wanted to share my best social media promotion tip which I beg you to use with your favorite Celtic artist. It's simple too--SHARE. Don't just laugh and like a post. If you support Celtic music, take an active role and share it. With one little click, you will not only proclaim your love of Celtic culture, but you will also immensely help these artists who are fighting to be heard. And of course, you can do the same with any posts from the Irish & Celtic Music Podcast. Please SHARE your love of Celtic music. Seán Roy Mac Aodha emailed: "Hi Mark, First off, I want to say that I really enjoy listen to your Celtic music podcasts. You do an excellent job putting together selections, and listening to an hour of the ICM podcasts is one of my great pleasures and I'm happy to be a subscriber. Right now, I'm listening to the podcast #324, Celtic in Connemara, and I think it's great that you want to learn to speak the language a little better. While I'm not a native speaker, I am an Irish-American with exposure to the language, and my pronunciation is pretty good. I'm glad to answer any questions you may have. Although many words look intimidating, it's really not that hard once you learn the rules of Irish orthography. You should probably know that the correct name of the language spoken in the Gaeltacht regions of Ireland is properly referred to in English as "Irish," and not Gaelic, as many people think, as "Gaelic" can mean Scottish Gaelic or even Manx. In Irish, the word for the language of course is "Gaeilge." Good luck with your Duolingo lessons, and I'll look forward to your continuing podcasts. Thanks so much for all you do."